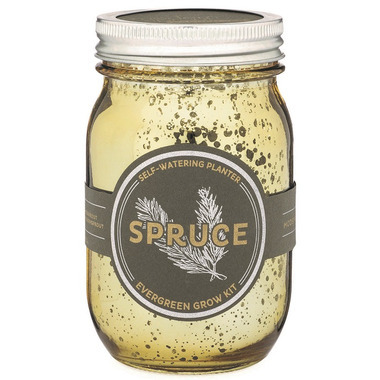 This self-watering indoor White Spruce grow kit features a gold, mercury glass finish printed mason jar outfitted with a passive hydroponic system known as wicking, to bring water and nutrients up to the plant roots. So whether you forget to water, overwater, or both, weve got you covered. 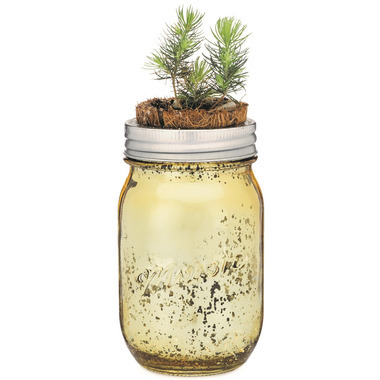 This year-round indoor planter comes equipped with everything youҒll need to start growing, just add water and set in a sunny window.